Since its birth, hardDrive has become a respected and influential extreme rock (for those you who don’t know what this is, suffice to say it’s a cross between hard rock and modern rock) radio show in broadcast history. Hosted since its inception by the award winning Lou Brutus, the show has constantly defined what new hard music is all about. 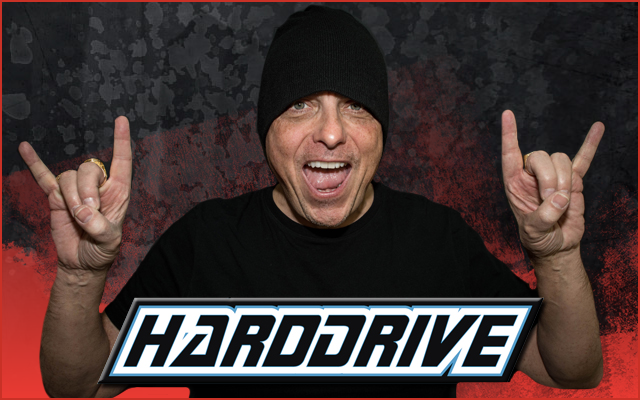 hardDrive has given listeners across the continental United States and Alaska their first taste of bands including Disturbed, Godsmack, Rammstein, Slipknotand tool, among hundreds of others. Week after week, hardDriveinterviews virtually every extreme musician that exists. ‘Nuff said. As long as hardDrive is on the air, U.S. citizens are assured inflation will remain low, American prestige will remain high, and extreme rock music will always have a home. Breaking Benjamin, Chevelle, 3 Days Grace….